I just figured out the easiest way to steam vegetables and make mashed potato is in the rice cooker. I'm not the kind to cook steak in the microwave, and it's a RICE cooker, it just never occurred to me. I'm thinking risotto is possible? I'm asking how people use their rice cooker for things other than rice. We've made these large pancakes in our rice cooker before. I found that they were a bit mushy in the middle, though. Maybe obvious but I use my rice cooker for millet, quinoa, even barley. All those are more tasty and nutritious than plain rice too. Hard boiled eggs. I don't eat them anymore, so I don't remember the details, but they were perfect and much easier to peel. You can make complete meal items like donburi, risotto, soups and chilis in your rice cooker. If you want an awesomely wonderful cookbook that gives you idea after idea, try this one, my go to rice cooker cookbook. Roger Ebert's The Pot and How to Use It can help you wrap your mind around this with bonus lovely recipes. I was skeptical so I borrowed it from the library before getting my own copy. YMMV. I second @bearwife's book rec. I use google for this mostly, like here's a risotto adapted by Serious Eats from Roger Ebert (who really was the original English-language expert in this genre). Youtube is also a goldmine of recipes. I've seen people online claim you can do caramelized onions in a rice cooker if it has a long-cooking "porridge" cycle. Haven't tried it yet myself. Bread and cakes are also a possibility (but my knowledge comes from manga, not personal experience). Polenta on the porridge cycle. I've tried bread in a rice cooker once. It came out soft, fluffy, and fine-textured--kinda like a moister hamburger bun or the bun on a pork bun?? No hard or dark crust. Like noxperpetua says about lentils...but what I like to do is put in half lentils, half rice with some seasonings. They finish in the same time and it's a complete meal. For example: red lentils, white rice, cumin, and coriander. Add salt when it comes out! 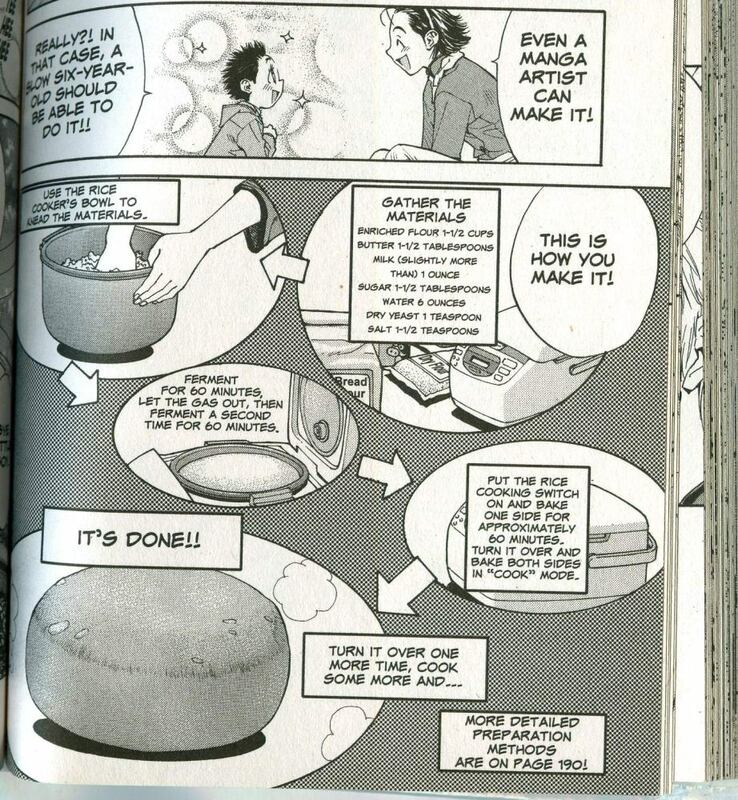 I love The Ultimate Rice Cooker Cookbook. I'm going to inject the best answer I've heard in meatspace. A colleague at work told me her mother is a textile artist. She sprays, splatters, sprinkles, pours, pollacks wax onto fabric before dying it, creating some very interesting patterns. She gets the wax from candles, and melts them in a rice cooker. I'm marking everyone as the best answerer, and I bestow the highest honour as a private Australian citizen can give, the Koala Stamp. I have more Koala Stamps, so keep your ideas coming! Seconding FencingGal's egg suggestion; it's the only way I make them now! I put the eggs in a bowl filled with warm water (just to get them up to room temp so you have less chance of them cracking). Start the rice cooker up with water inside. Once it is steaming, add the eggs. Cook for about 17 minutes then transfer eggs to ice bath. Perfect, slip-out-of-their-shell eggs every time! I had this genius idea to do steel cut oats similar to Kriesa's idea above... but! I would activate the delayed start button before I went to bed at night so in the morning I'd have delicious hot breakfast. The timer seemed to work just fine, but when I woke up, I discovered an overflowing gelatinous starch mess covering the countertop and thoroughly coating my rice maker. That was 4 years ago and still haven't been able to fully clean every nook and cranny of the appliance. The actual oatmeal remaining inside the mush cocoon was pretty good though! Oh, nobody's mentioned it yet--you can put some fish in the steamer tray while you cook the rice underneath. Especially if you put some flavoring in the rice, that's a pretty decent meal.